Ellsworth Kelly, Austin, 2015, Artist-designed building with installation of colored glass windows, marble panels, and redwood totem, 60 ft. x 73 ft. x 26 ft. 4 in., Blanton Museum of Art, The University of Texas at Austin, Gift of the artist, with funding generously provided by Jeanne and Michael Klein, Judy and Charles Tate, the Scurlock Foundation, Suzanne Deal Booth and David G. Booth, the Longhorn Network, and other donors. © Ellsworth Kelly Foundation. 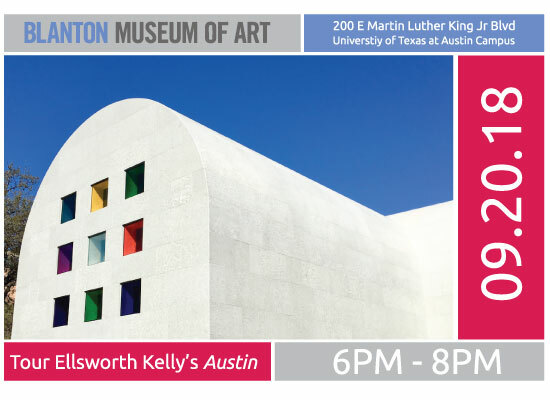 Join us for a tour of Ellsworth’s Kelly’s Austin at the Blanton Museum of Art! In January 2015, the renowned American artist Ellsworth Kelly gifted to the Blanton the design concept for his most monumental work, a 2,715-square-foot stone building with luminous colored glass windows, a totemic wood sculpture, and fourteen black and white marble panels. This will be a "Limited Attendees" event, be sure to be one of the first 20 to Register to ensure your spot for this unique tour. Parking is available in the Brazos Garage, adjacent to the Blanton Museum of Art/Michener Gallery Building, and will cost $4.00 with a discount given if attendees bring their parking tickets into the museum and pay there. Christian Wurst, Curatorial Assistant at the Blanton will give an introduction to Austin in the Hite Board Room, 1st floor of the Blanton Museum/Michener Gallery Building. Enjoy a slice of pizza and a glass of wine or beer from the Blanton Café (located in the adjacent Edgar A. Smith Building). Mingle with members. If you arrive prior to 6pm, you can enjoy the Beat the Rush music program with Moving Panoramas starting at 5:30pm inside the museum. If you stay after the tour you can enjoy the Slow Looking Tour from 7:30-8:00pm, which features 30-minute conversations about a single work of art on view in the museum. 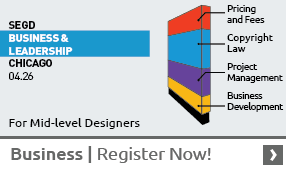 Hoping to see a Full House to this limited attendees event.